Ginnifer Goodwin is entering the fifth dimension. The “Once Upon a Time” alum has joined Jordan Peele’s “Twilight Zone” reboot at CBS All Access as the star of an episode titled “Point of Origin.” The anthology series’ installment will also feature James Frain and Zabryna Guevara. In addition to stepping into Rod Serling’s role as “Twilight Zone” narrator, Peele is also serving as executive producer on the reboot. 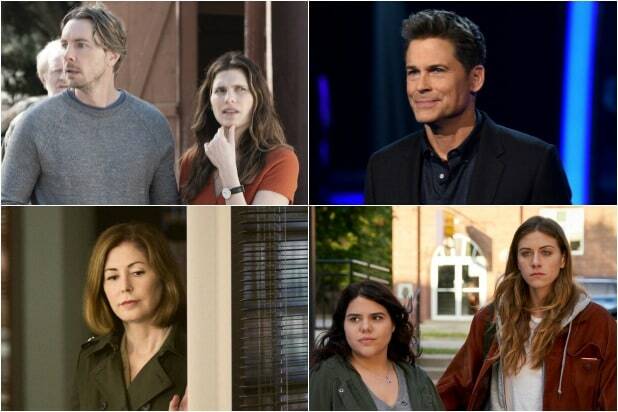 Previously revealed cast members include Ike Barinholtz, John Cho, Lucinda Dryzek, Taissa Farmiga, Greg Kinnear, Luke Kirby, Sanaa Lathan, Kumail Nanjiani, Adam Scott, Rhea Seehorn, Allison Tolman, Jacob Tremblay, Jefferson White, Jonathan Whitesell, Jessica Williams, DeWanda Wise and Steven Yeun. The anthology series will launch its first two episodes April 1, with new installments to be made available weekly on Thursdays, beginning April 11, Julie McNamara, executive vice president of original content for CBS All Access, announced during the Television Critics Association’s winter press tour Wednesday. “The Twilight Zone” is produced by CBS Television Studios in association with Peele’s Monkeypaw Productions and Simon Kinberg’s Genre Films. Peele and Kinberg serve as executive producers along with Win Rosenfeld, Audrey Chon, Carol Serling, Rick Berg and Greg Yaitanes. Rod Serling created the original series, which ran for 80 episodes from 1959 to 1964, and used socially-conscious storytelling to explore the human condition and culture of the times. There have been two prior revivals of the classic series. The first reboot aired for 110 episodes on CBS starting in 1985, and a second version, with Forest Whitaker in Serling’s role, ran for 43 episodes on UPN in the early 2000s. “The Twilight Zone” premieres April on CBS All Access.